As rare conditions, Trisomy 13 and Trisomy 18 are frequently not well understood and many healthcare professionals may not have experienced caring for an affected child or their family previously. SOFT UK can offer awareness training sessions, delivered at your organisation or venue of your choice. Several of our parent members provide ‘Lived Experience’ training sessions for healthcare professionals, sharing their personal stories and experience and discussing with clinicians the challenges of informed decision making in the care of a child affected by Trisomy 13 or 18. 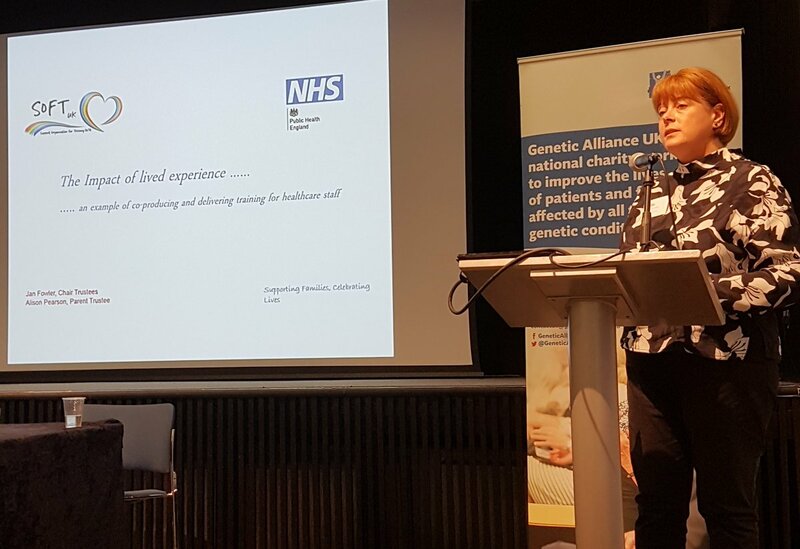 In 2017, we worked with the NHS to co-design and deliver a programme of face to face training in support of the introduction of Non-invasive prenatal testing (NIPT) as a step in the prenatal screening offer to pregnant women. Over 400 midwives, obstetricians, sonographers and screening midwives attended the training sessions.